Drinking water: a beneficial habit! Surely you’ve heard this one before: It’s important to drink water! We all know water is important and that we SHOULD be drinking it. But sometimes it’s easier said than done. Water does more than quench thirst. It helps keep our bodies functioning. It can remove toxins from the body and cool you down. Water helps retain moisture in your blood, bones and brain as well as protect your spinal cord and joints! It’s good for your skin, muscles, kidneys, circulation, you name it! The goal is to make drinking water a habit, and then the benefits will come! 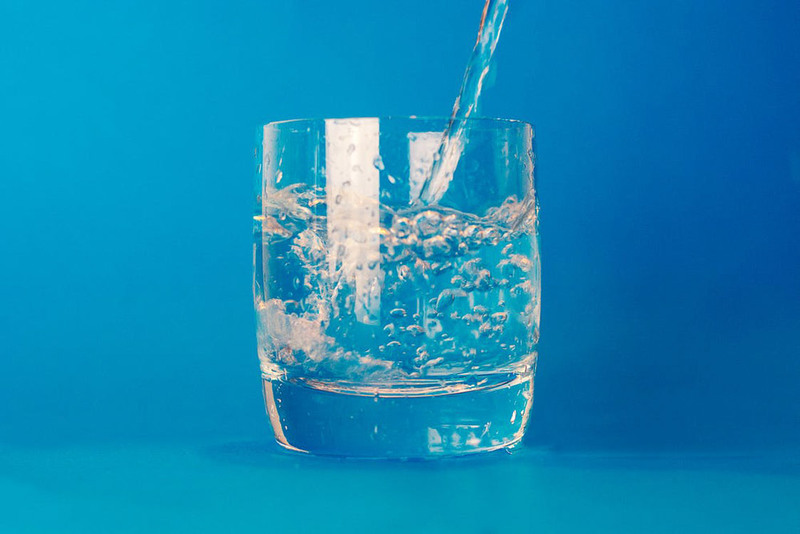 Our bodies are about 50 to 75 percent water, and we lose that water through such simple acts as breathing and sweating — so water is even more important in these warm summer months! So how do we make the change? Keep a pitcher in the fridge or invest in a filter for your sink. Carry a water bottle with you. Keep one in your car, at your desk, by your bed, anywhere you might find yourself during the day. If you’re feeling thirsty, chances are you’re already getting dehydrated. Dehydration can lead to headaches, dizziness, dry skin or more serious effects. Lack of water can also make you tired. The recommended daily water intake is 6-8 glasses each day. This is a great guideline, but always use your best judgement! If you’re trying to lose weight, upping your water intake can be key. Water aids in digestion and even curbs hunger! Try having a glass of water before or during each meal because it can help you feel fuller faster. It’s also a great alternative to sugary drinks. Sometimes when you think you’re hungry, you’re just thirsty! Drink up! If you find plain water boring — you’re not alone! — try flavored water or put fruit in your water. Fruits and veggies are also high in water content and can help give our bodies some of the water we need. Drinking water is especially important after a workout or a walk! Make sure you always replenish after any activity! Water does a body good. Recognize it, and see what a difference it can make in your life! In the end, your body will thank you for it! Hit the road this summer!